Often times, working in the blockchain industry, I am asked to explain what Bitcoin and other cryptocurrencies actually are. What is their value? How are they created? What is the point of it all? To help clarify things, I’ve defined these terms and simplified them with analogies and metaphors that even your grandmother could understand. 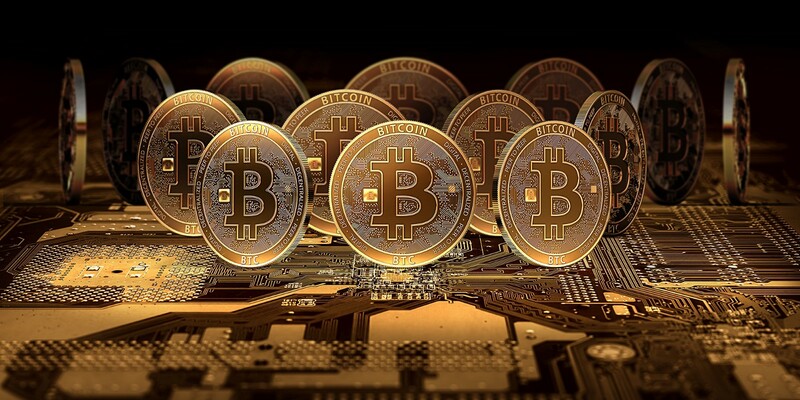 A cryptocurrency is a digital currency in which cryptographic techniques are used to regulate the generation of units of currency and verify the transfer of funds, often operating independently of a central bank or authority. Imagine trying to throw a dollar bill from Texas to Singapore. It’s a tall task, and even if it were possible, it would take a quite a long time to get there. What if that dollar bill were digital, not physical, and could be sent as easily and quickly as an e-mail? This is a cryptocurrency. Bitcoin is a peer-to-peer digital currency that was invented by an unknown person or group of people under the pseudonym Satoshi Nakamoto and released as open-source software in 2009. Bitcoin is a mathematical solution to the “double-spend” dilemma. New Bitcoins are minted through a process called “mining,” in which participants are rewarded fractions of Bitcoin for validating the network data. Imagine a series of indestructible glass mailboxes connected by an underground network of tunnels. The mailboxes cannot be opened by anything except for their unique individual keys. Even when they are opened, the contents cannot be taken out — only sent elsewhere through the underground tunnel. The mailboxes’ purpose is to store and transfer gold. If anyone knows your mailbox address, they can send you gold, and vice versa. Because the mailboxes are glass, anyone can see how much gold is inside of any mailbox at any time. However, anyone can get as many mailboxes as they want, so there is no way to know how many mailboxes everyone owns. Because the gold never physically leaves the mailbox network, and can only be transferred from mailbox to mailbox, there is no possibility of any gold being added or removed from the system. This is Bitcoin. Bitcoins are minted through a practice called mining. Bitcoin mining is the process by which transactions are verified and added to the public ledger, known as the blockchain. “Miners” dedicate their computer power to solving intricate mathematical problems on the blockchain and forming a consensus of information with other miners. Each validated “block” of information comes with a 12.5 BTC reward, which is split between the miners who validated the block. The term mining is actually a pretty fitting one, even though there are no picks and no black lung diagnoses involved. For this example, imagine 100 miners hacking away at a magical ore. The magic ore releases a steady 12.5 ounces of gold every 10 minutes and that gold is distributed evenly among everyone who mined during the 10- minute period. Each miner receives 0.125 ounces of gold every 10 minutes. Now imagine 900 other miners hear about the profits, so they show up at the magic ore. The ore continues to release 12.5 ounces of gold every 10 minutes, but now each miner only receives 0.0125 ounces. Some of the original miners aren’t making enough money to cover the costs of their expensive pickaxes and headlamps anymore, so they quit, forfeiting their future shares. This is Bitcoin Mining. Oh, and the magic ore’s rewards are cut in half every four years. Are you starting to understand how it all works? For a comprehensive “Blockchain Dictionary” with explanations of all the popular industry lingo, check out Blockchain 101. Monika Proffitt is a serial entrepreneur, speaker, and author of Blockchain 101: Fundamentals of a New Economy.